I’ve interviewed so many amazing innovators that I decided it was time to collect some of the top tips I’ve heard from them in driving STEM innovation, that is, in science, technology, engineering and math. Have an audacious goal: The most extraordinary innovations come from setting extraordinary goals. 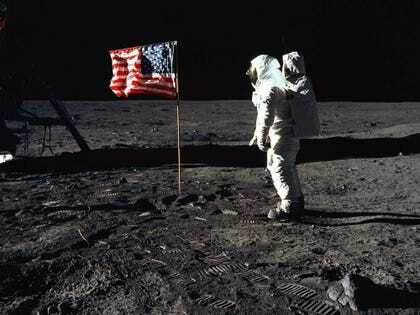 Just ask NASA about landing a man on the moon (or their goal for Mars today). Or ask Elon Musk about SpaceX or Tesla’s reinventing the automobile company and electric vehicles for mass adoption. Or, Alexandria Ocasio-Cortez, who was bartending before she won her historic seat in Congress last November. Or, ask Ellen Stofan, the new head of the Smithsonian Air and Space Museum about their massive $1 billion complete transformation of the museum underway today. Define the outcome, not the process: What’s your endgame? Is it a new product to fill a market need? Or are you looking for a creative way to reuse materials you would otherwise be throwing away, to reduce your waste? Is it a market need that your competitors are filling and you want to make sure you are competitive there? Be specific about the outcome, but let the process of getting there evolve. Entertain outlier ideas: STEM people can be very analytical and seek to narrow the focus to reduce the number of things to investigate, but this is detrimental to innovation. You need to at least explore every idea, especially the “crazy” ones – those might be where the magic is, if not in that specific idea, in a derivative of it. Hire the outliers: Bring people to the table who would not seem to know anything about the challenge. They will make you think differently and that’s a gift. Try to get customers there too! Rotate people’s jobs: This enables people to shift their perspective and exercise mental muscles that have not been exercised before, which also strengthens their ability to think creatively. This is one of the secret sauces I’ve seen in women who have succeeded as innovators in STEM; they’ve done different jobs, either in the same company or in different organizations. Then they bring that new thinking to their problem-solving to come up with more effective solutions. Caution teams to park their assumptions outside: We all have assumptions. Sometimes they are biases, sometimes they are just assumptions about how things work or get done. But we need to be aware of them and leave them outside the door, so we can be open to those “crazy” ideas and accept ideas from unexpected people and sources. This is something Mary Snapp, Microsoft Philanthropies CEO emphasized. Have a diverse set of people at the table – diverse skills, experiences, genders, ethnicities, ages, role in the organization or in relation to the challenge at hand. Each of them will bring a valuable perspective and together they will force the group to think differently and will surface new ways of approaching the challenge, as well as new ideas for solving it. Access ideas from all levels and departments that touch the are you want to innovate, including and especially your customers. They have a cool idea you haven’t thought of, or they’ll tell you something that triggers another idea. Your customers’ wish lists are the most important, of course, but also tap customer service, since they hear the complaints first. 8. Try to solve a different problem: Tackling sustainability initiatives, for example, often result in unearthing solutions to other challenges too, includes cost reductions or greater efficiencies, or better processes, or new technologies. You never know…. If we call an experiment or a launch or a crisis a “failure,” we shut down the options for addressing it because we demoralize the people involved. If we just see that it didn’t meet our expectations, we learned another way that didn’t work, which gets us closer to our goal.